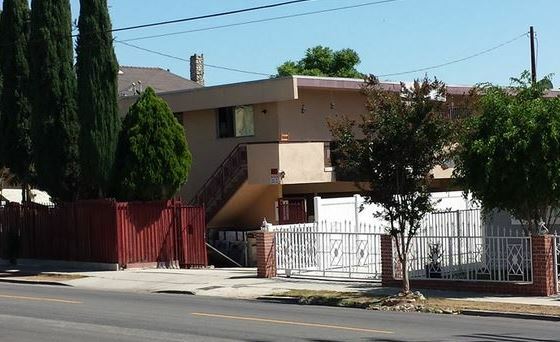 We are pleased to announce our acquisition of 128 N Rampart Blvd, a nine unit apartment building in new Echo Park neighborhood of Los Angeles. The purchase price was $1,275,000 with a GRM of 17.5. 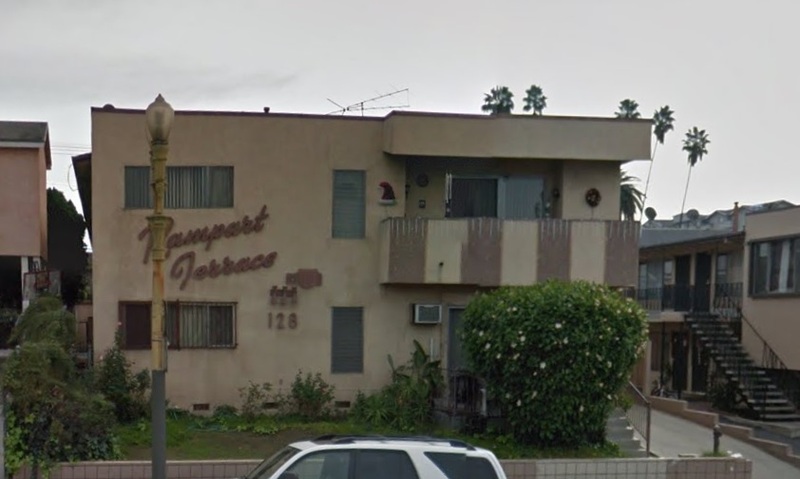 Just blocks from the Beverly and Alvarado intersection- 128 N Rampart is in a prime location near Echo Park and the 101 Freeway. Tenants and business owners alike have been flocking to Echo Park due to the artistic flavor, proximity to entertainment jobs, and walkability to entertainment and eating venues. The defacto boundaries of Echo Park have expanded as new new retail, upgraded housing, and millennials in the creative industries push father south of the 101. We intend to reinvent and extensively renovate this stereotypical 1963 building into a contemporary modern complex to fit the taste of the Creatives moving into and near Echo Park. These mass produced boxes were named dingbats as a derogatory term from the architecture community. We hope to fix some of their shortcomings. Brand new interior go on the inside. On the outside, we intend to maintain and enhance the original property’s 1950/60s character but with a twist of hip. 128 Rampart is PMI’s 20th acquisition in Northeast Los Angeles. GiGi cafe is a latin coffee shop and bakery that has been in Echo Park on Temple since 1968. It has a very diverse customer base as old Echo Park customers mix with the new millennials. They serve both cafe de leche and cafe latte. 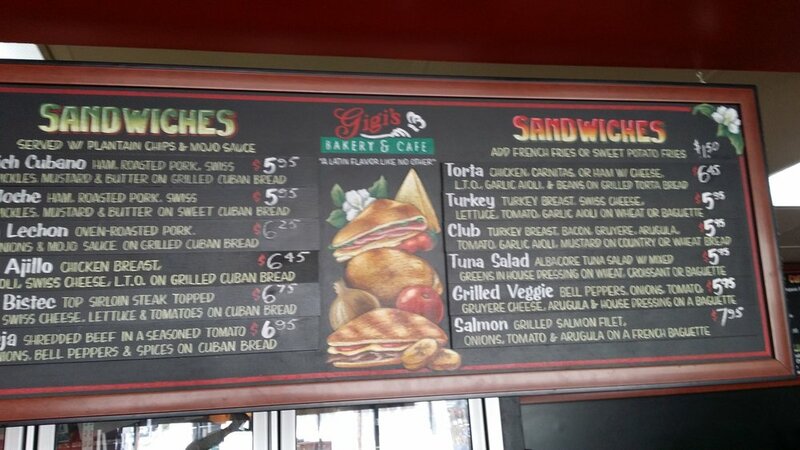 For example, on the menu below, one side shows its Cuban/Latin sandwiches while the other side shows it more traditional faire. 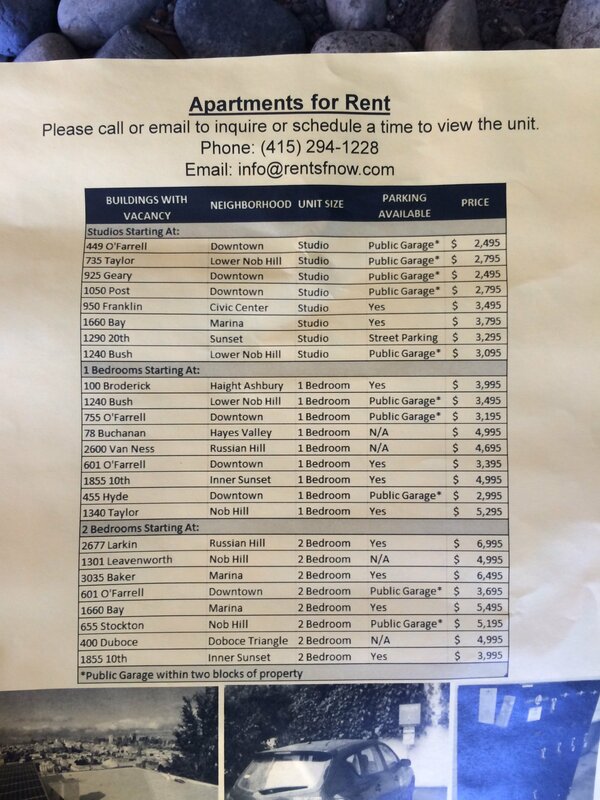 If you think Los Angeles rents are bad, take a look at these in San Francisco. Is Los Angeles really the most unaffordable city for renters? See the full article below. If you’re moving to San Francisco, this housing flyer will make you want to cry – Yahoo Finance. 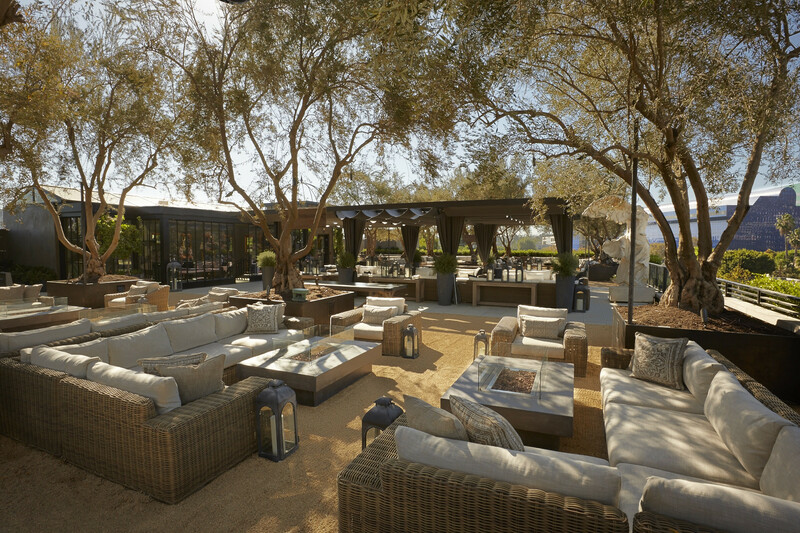 Bisnow hosted a Rise of Silicon Beach conference on Thursday February 26th, 2015 at the Water Garden in Santa Monica. Matt Miller of Cresa led a panel of four Los Angeles Technology Company CEOs on what they were looking for in their office space. Here are some of the takeaways. 1. Companies look for the right vibe and right facility depending on the company’s stage. 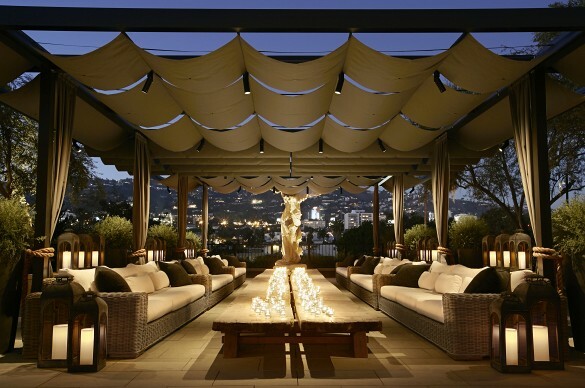 As a start up, they may look for something more edgy and with less thrills and prestige. Early stage companies need to consider what investors will think when they visit the company. The offices should not appear extravagant. Later stage companies want to portray that they made it. This could take the form of many amenities: gyms, cafeterias, yoga classes, meditation rooms, etc. 2. The CEOs wanted their employees to stay on campus for lunch and not to leave the facility. 3. It is now easier to recruit engineers to Los Angeles. There is now a critical mass of technology companies in Los Angeles, and it is socially acceptable to locate a tech company in Los Angeles now. It use to be that you could only recruit entertainment, advertising, and media talent. Now you can recruit engineers from out of town. However, it is easier to recruit engineers trained in Los Angeles and not lose them to other geographical areas. 4. The positives for recruiting are the beach and the weather. Engineers from other areas enjoy the weather and are impressed with the beach amenities when they come to visit. 5. The negatives for recruiting are the traffic and cost of housing. Once employees get older and have children, they want a house and are forced into long commutes. Initially recruits fall in love with the beach scene and don’t realize the commute they may endure. 6. Where a potential employee lives may greatly influence what firm he chooses to work at. 7. The CEOs based their office location decisions on proximity to where they lived. 8. 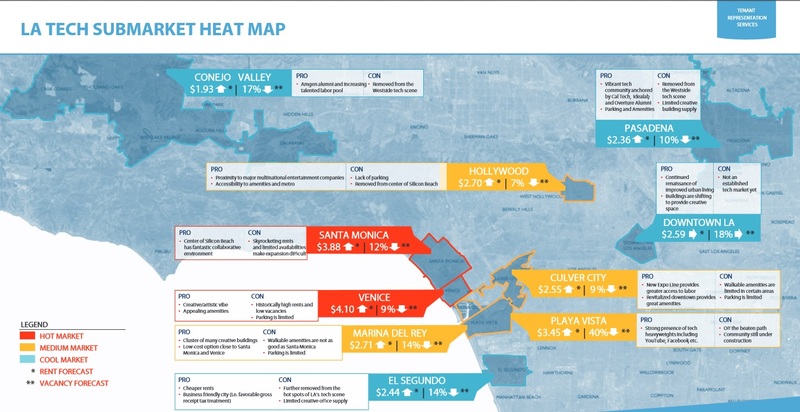 There are different tech clusters all over Los Angeles with different personalities. 12. Tech is moving to Downtown very slowly. Craycroft ventures just located an office in Downtown Los Angeles. There is more tech in the South Bay. Commuting east is difficult. Employees who live on the Westside don’t know how long it will take them to get home from Downtown, and it makes it hard for them to plan their day. Also, employees who live in Downtown and commute to the Westside usually don’t last more than nine months. 13. Lots of people live in the South Bay and commute into the Westside as long as they live north of Hermosa Beach. 14. With all the travel requirements, proximity to LAX is still a consideration in the office location decision. 15. Los Angeles has the newest and fastest growing tech scene, and it will grow faster than Seattle’s or Austin’s. 16. Los Angeles capital sources do more seed funding. For later stage funding, companies need to go to venture capital companies up North.